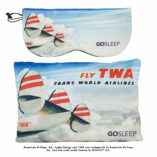 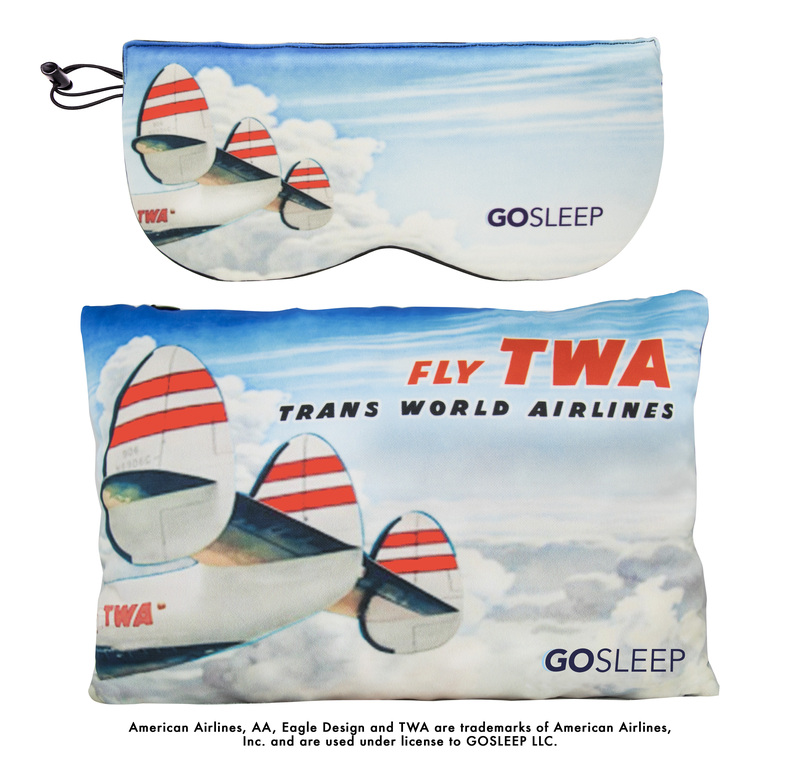 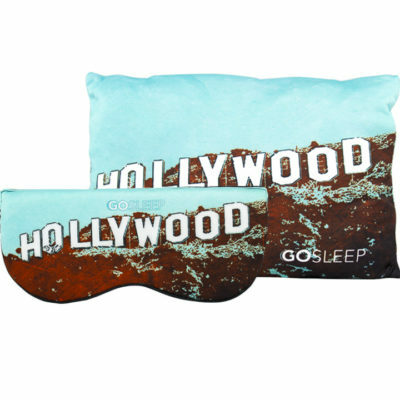 The GOSLEEP® travel system empowers travelers to get restful sleep anywhere and this special TWA Vintage Plane edition let's you do it in style! 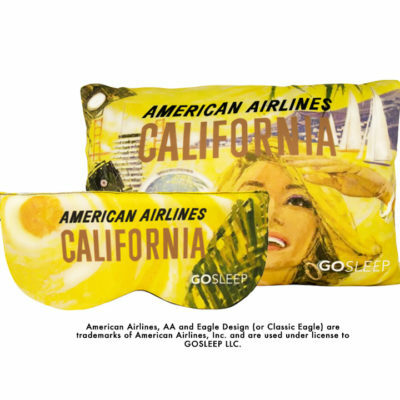 The perfect pillow and an innovative sleep mask design are used in conjunction to prevent “head-bob” empowering travelers to sleep sitting up on airplanes, trains, and automobiles. 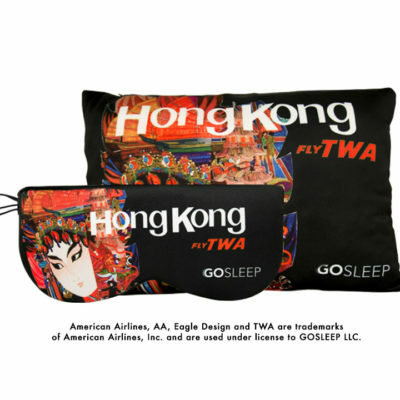 This upright sleep system utilizes soft, breathable fabrics and plush memory foam to ensure you stay comfy and cool on any trip. 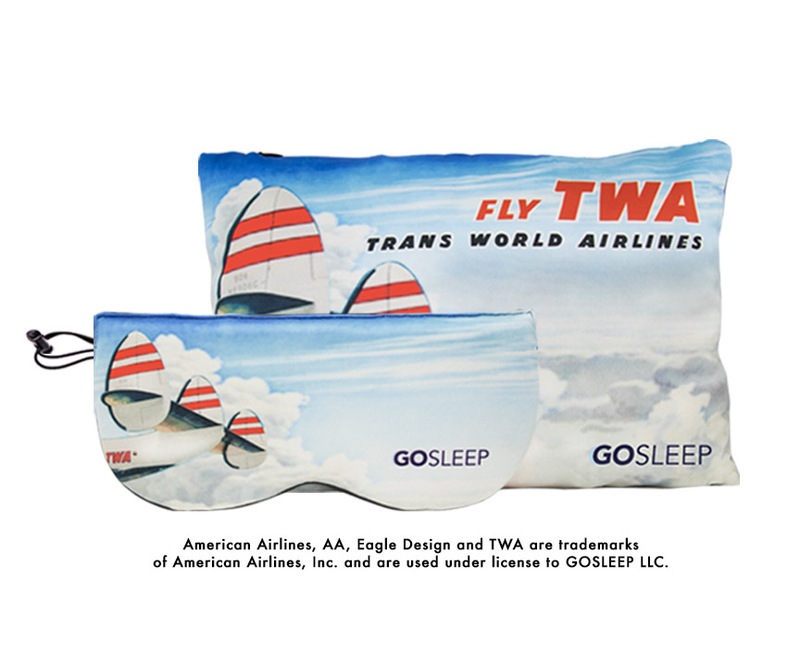 The TWA Vintage Plane kit features artwork from Frank Soltesz’s Iconic 1952 Trans World Airlines Super Lockheed Constellation Poster “Fly the Finest”. 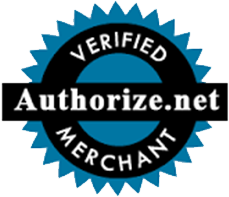 American Airlines, AA, Eagle Design and TWA are trademarks of American Airlines, Inc. and are used under license to GOSLEEP LLC.